The Department of Environmental Quality (DEQ) is looking for a way to deal with idle limiting mining operations (LMOs). Those are small aggregate, or gravel, pits used by ranches or oil companies, among other entities, to build roads. Right now, the DEQ has no way to terminate LMOs that are left unused. That’s a problem because the department says it’s wasting resources by sending employees out to analyze the sites and develop reports on them every year. Kyle Wendtland, DEQ Land Quality Division administrator, went to the Joint Minerals, Business, and Economic Development committee in Laramie on Monday to ask for statutory authority to change those rules. Specifically, it would require operators to prove its need for the LMO every five years. Wendtland said there are over a hundred unused sites around the state and it’s a waste of resources. “That’s 130 sites that I’m sending personnel to once a year that I’m having to review an annual report and those are resources that could be dedicated to active or developing permits,” he said. Wendtland said there a lot of reasons an operator could have for not developing long-term, but that needs to be in writing. Otherwise, the land should be immediately reclaimed. Sundance Representative Tyler Lindholm did not vote to put together a bill draft. He said requiring operators to prove its need every five years would just be extra paperwork. “All the operators out there will say here’s a project we’ll use it for, and even if they have to ship one truckload of gravel from that pit, that’s what they’ll do in order to keep that LMO instead of going through the process again of getting that LMO,” he said. Worland Representative Mike Greear disagrees calling this a positive step forward. The committee voted 9 to 5 in favor of putting together a draft bill. Wyoming has taken a step towards complete responsibility for the handling of radioactive materials involved in uranium operations. It's been a shared duty, with Wyoming covering the mining operations, and the U.S. Nuclear Regulatory Commission (NRC) taking over once the product entered processing. Ryan Schierman, Uranium Recovery Program Manager for the Wyoming Department of Environmental Quality, said that caused discontent within the uranium industry. He’s managed the transition process. 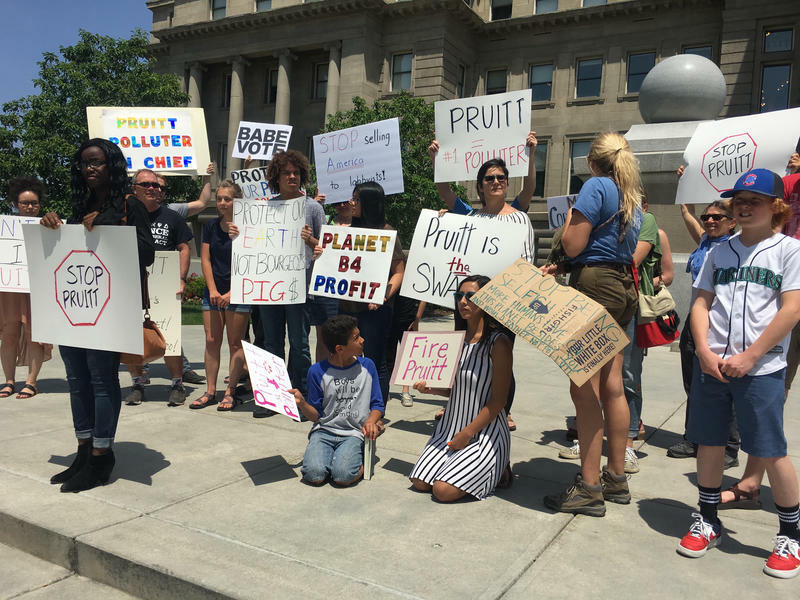 Environmental Protection Agency leader Scott Pruitt made a quiet visit to Boise Tuesday, to sign a new agreement between his agency and the state of Idaho. The U.S. Government Accountability Office (GAO) is recommending Congress eliminate self-bonding. It's a method used by coal companies to guarantee clean-up costs without putting money down. The problems with self-bonding were highlighted when several of the nation’s largest coal companies went bankrupt in 2015 and 2016. The huge bill leftover for clean-up costs nearly fell on taxpayer shoulders. Wyoming has been looking to reform the practice since 2013, with a more concrete proposal released in 2017. Rules that would have placed limits on self-bonding will be sent back to the Department of Environmental Quality’s (DEQ) Land Quality Division following a meeting of its advisory board Wednesday. Self-bonding is a way for mining companies to guarantee clean-up costs without putting money down. 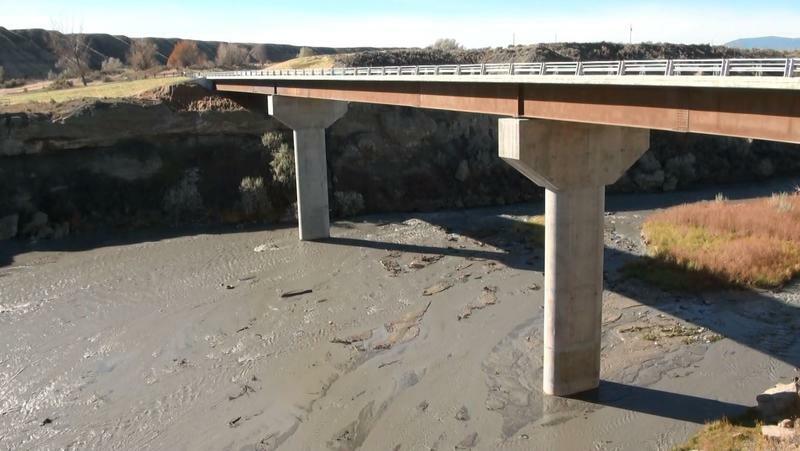 The Wyoming Department of Environmental Quality held a public meeting in Cody Tuesday to update the public on the operation of the Willwood Dam and efforts to protect the Shoshone River fishery.